As every pokie machine player knows, the biggest thrill about playing slots is the possibility of the big, life-changing win. For Aussies, playing pokies is almost a part of the culture, so it is no wonder that there are quite a few big pokie wins in Australia on a regular basis. These huge pokie wins in Australia, or any other country for that matter, are the stuff that dreams are made of. It only takes a few seconds for one spin to complete, but knowing that by the time it is over, your life could be fundamentally changed creates an adrenaline rush unlike anything else; or at least unlike anything else you can do from the comfort of your own home or by taking a short drive to your local casino. Over the years, the number of big Aussie pokie wins has grown to be quite impressive. In this article, we will remember some of those huge paydays and also give you some guidelines that could help you become the next big winner. Because, why not? In May 2013, there was the biggest pokie win in Australia ever, and it was won by an anonymous Kiwi player. The lucky punter was having some fun time on the Royal Vegas mobile casino when things went crazy and by the end of the madness, he was $943,971 richer. Not bad for a few spins, right? Another lucky Aussie player walked out almost $350,000 richer after hitting the major jackpot at a local club in Coffs Harbour. It was a progressive pokie which started at $250,000 and some $100,000 later, one lucky local took home what many would consider a life changing money. 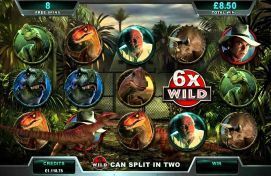 Apart from these biggest pokie wins in Australia, there are numerous videos on YouTube of Aussie players winning significant five figure amounts after getting free spins or hitting a table-full of wild symbols. Even watching these videos can get one's blood pumping, especially if you are someone who's been known to enjoy occasional spin or two on pokies. Where to Find Big Pokie Wins in Australia? If you belong to the group of pokies players who enjoy chasing those big jackpots, there are different options available to you. Depending on what part of Australia you live in, you might have access to clubs and casinos with pokie machines, offering fixed or progressive jackpots. For some, playing pokies in a brick and mortar casino has a special allure because of all the sounds and lights you are surrounded with. However, online pokies for real money represent a more practical and more feasible option. Although there are no records of huge pokie wins in Australia, many online jackpots were won by anonymous players and if I was a betting man (which I am a little bit), I'd wager my money that at least one or two of those "anonymous" fellows were Kiwis. Thanks to a much bigger player base, online jackpots on major pokie networks, like Microgaming or Playtech, often significantly exceed the amounts offered by land-based casinos. This is especially true for progressive jackpots, which increase with every credit that players put into the pokie machine. More players means more money, it is as simple as that. A few of those anonymous players mentioned before won the amounts well over $1,000,000. For example, the biggest jackpot paid on the Microgaming's highly popular King Cashalot pokie was $1.3 million and it was won in September 2012 by an undisclosed user. The biggest amount paid by the most famous pokie from this manufacturer, Mega Moolah, was the astonishing $10.4 million paid out in April 2016. You will rarely find the amounts this high in brick and mortar casinos. 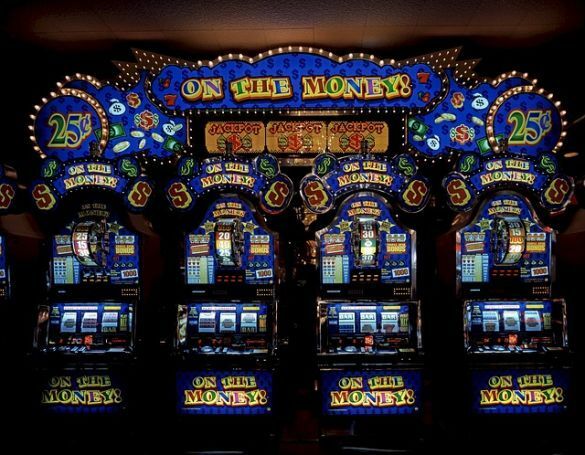 Although we all know pokies are for the most part luck, if you are looking for that one big score, you might as well give yourself the best shot possible. These are some online slots strategy tips that should help you come closer to your goal and even though it is impossible to guarantee a win, I can pretty much guarantee you will have a blast doing it. 1. Find the best and biggest jackpots available. Many of the casinos reviewed on our site, like Mister Winner Casino or 888Casino, offer some of the biggest jackpots on the market, including the earlier mentioned Mega Moolah and Cashalot pokies. Since you are chasing the dream anyways, you might as well go for the biggest one. The mathematical odds between hitting a $1,000,000 and $10,000,000 are not that different, really. 2. Use The Bonuses! Players looking to make it to the list of big Australian pokie wins should definitely take full advantage of the casino welcome bonuses. Take your time to read through the reviews and find those online casinos that give you the most generous casino bonuses of 2016. If you are going to be chasing a huge pokie win, you should have as much ammo as possible. Don't worry about cashout restrictions, because those will be laughably easy to meet if you hit the jackpot; just make sure that your casino of choice allows you to play progressive pokies with the bonus money. 3. Be patient. This can't be overstated if you are after the biggest pokie win in Australia. Progressive pokies don't pay every day, they don't even pay every week, so you mustn't get frustrated. Stay calm, patient, composed, and stick to your bankroll. While there is no guarantee to win either way, maintaining a calm and reasonable approach will certainly increase your chances. And, of course, have fun. If you are focused solely on winning your playing experience will probably not be that great. Approach your jackpot chase as a fun activity and enjoy every moment of it, every spin, and every small win. As long as you do it this way, you can be sure you are doing it right. Stick to these recommendations and not only that you will experience a great, fun-filled journey, but you just might join the select few on the list of big pokie wins in Australia. Remember, the jackpot might be just a spin away!